Mammoth Ski and Racquet condos for sale are located at 248 Mammoth Slopes Drive, very close to the base of Canyon Lodge. The complex was built in 1972 and has a total of 133 units. One of the nice features of this full-amenity complex is that each unit has an assigned, covered parking space within a common garage, similar to a covered carport. Condos for sale in Mammoth Ski and Racquet feature a wide range of amenities such as: Swimming pool, covered Jacuzzi, large recreation room with games, sauna, tennis courts, off-street parking, on-site management and convenient ski-back trail access. The monthly HOA dues are as follows (approximate): $420/month for the studio & lofts, $450/month for the 1-bedroom units, $560/month for the 1 & loft units, $620/month for the 2-bedroom units and $670/month for the 2 & loft units. For additional information on any of these Mammoth Ski & Racquet Club condos for sale in Mammoth Lakes, click the "Request More Information" button when viewing the details of a property. We can provide you with disclosures, past sales history, dates and prices of condos recently sold nearby, and more. 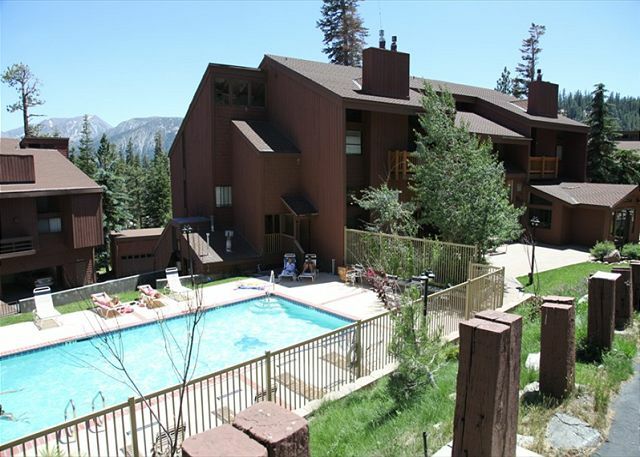 Listed below and updated daily from the MLS are condos for sale in Mammoth Ski and Racquet, a condo development located in Mammoth Lakes, CA.